Our Lake Greenwood marinas have you covered. Lake Greenwood offers two marinas who offer pontoon and/or Jet ski rental services. Offers Pontoon, Jet Skis, Kayaks and Paddle Board Rentals. 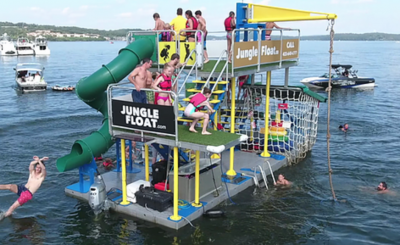 Skippers also offers the jungle Float, a must! !